Dominique Ansel's "cronuts"—a croissant-donut hybrid—are so popular in New York City that once the product sells out each morning, Craig's List scalpers take to the streets and resell the delicacy for up to $40, depending on the travel distance. That's an 800 percent markup from the retail price of $5. 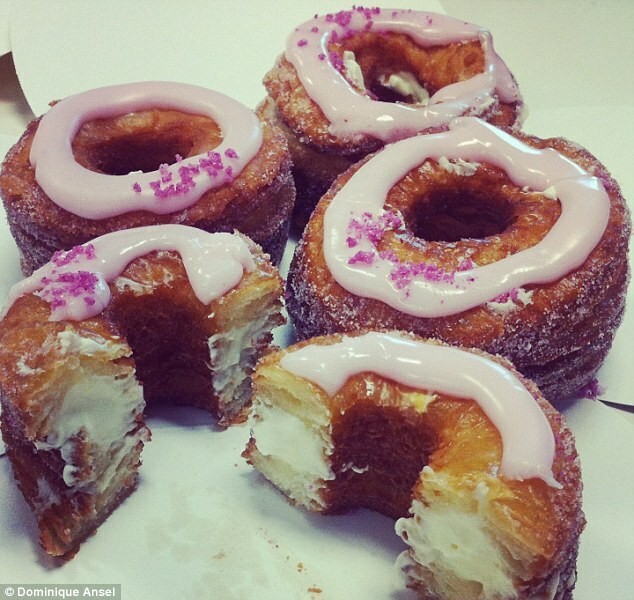 Ansel has since trademarked his cronut concept, which involves a homemade croissant dough that is deep fried, coated in rose sugar and then filled with Tahitian vanilla cream. His Soho bakery makes fresh cronut dough each morning and produces just 200 of the treats. While the cronut is baking, a line of 30 or more hungry customers may gather outside the bakery in anticipation. This story has us thinking. We promise not to charge you $40, but would you like to try something similar from Mojo? Is there a certain flavor twist you are dreaming of? Let us know in the comments below or share with us on Facebook.